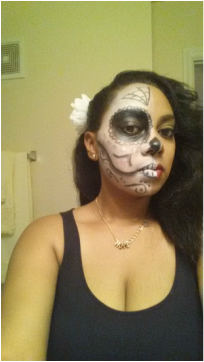 Last night I decided to have a little fun in my makeup. 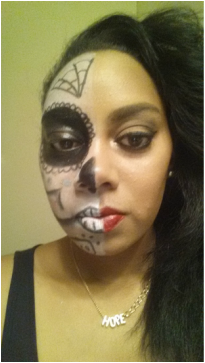 I had never attempted to do the "sugar skull" so I thought "why not". Now this definitely was easy and fun, however having a 3 year old who basically wanted to be on top of me the entire time and wanted her face painted made for some challenges but I do think my first attempt at this went rather okay. Now I feel like I have the determination of beast to perfect this look...so I am pretty sure the next few days leading to Halloween you will see more of my practicing looks. 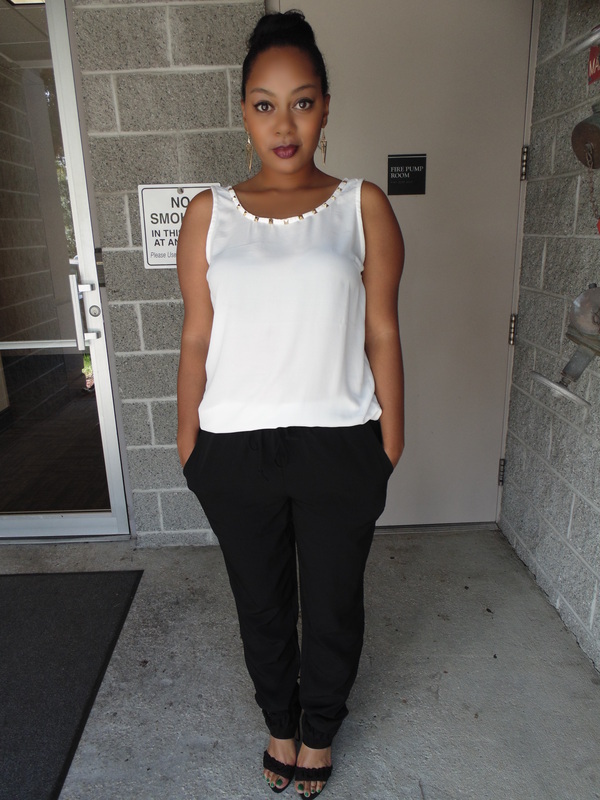 One time for my girl Shineeka Laing who created this awesome look over the weekend. Not only did this girl walk out the salon super impressed and happy, Shineeka inspired me to get my act together and start blogging again (if you were aware it has been a few wks since my last post). Anywho, I was super impressed with my girl who was bit unfamiliar with this look as she does more "high" glamour makeup. No worries for her though because she can pretty much nail anything thrown her way. 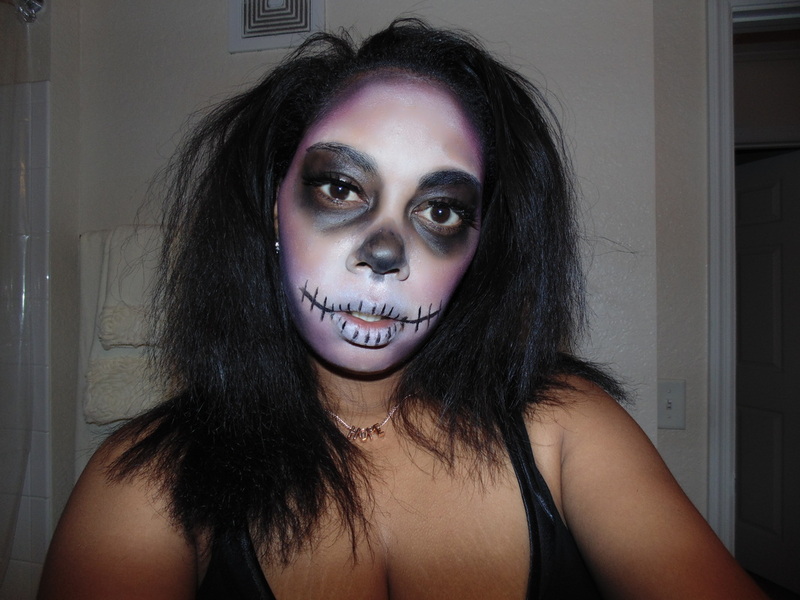 Her client walked out with great hair and an awesome makeup look for Halloween party. Kudos points!!! I think it is an absolute honor when a brand or company ask you to try a product for them. 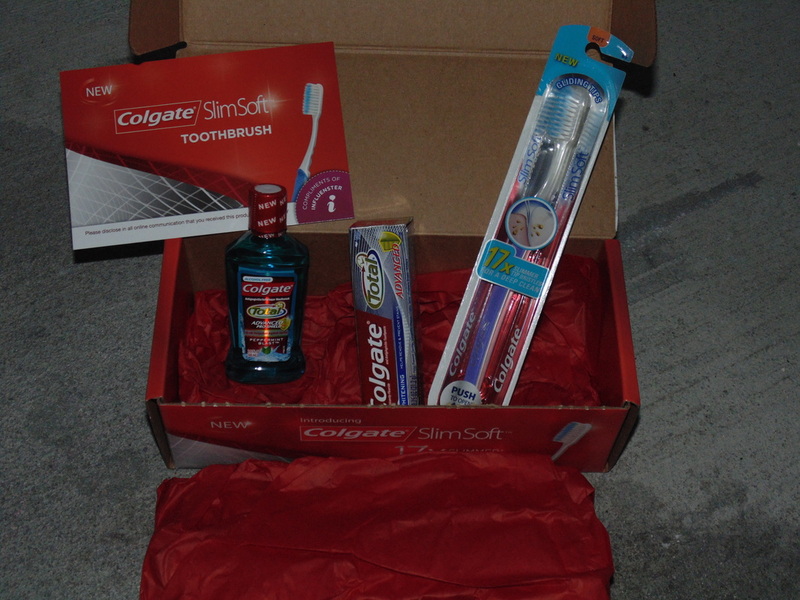 I had the pleasure of being asked by Influenster to test a new Colgate toothbrush and of course I accepted...who doesn't need a toothbrush right. So...I got the package about a week ago and before I even dare open my mouth about I needed to give the toothbrush 1 week (7 days) for testing. When I first opened the package I thought...well this is definitely slim like they said. They sent me a "soft" brush which was okay but I do prefer the medium bristle (but no biggie). The bristle where extremely soft, probably softer then I've personally ever felt. 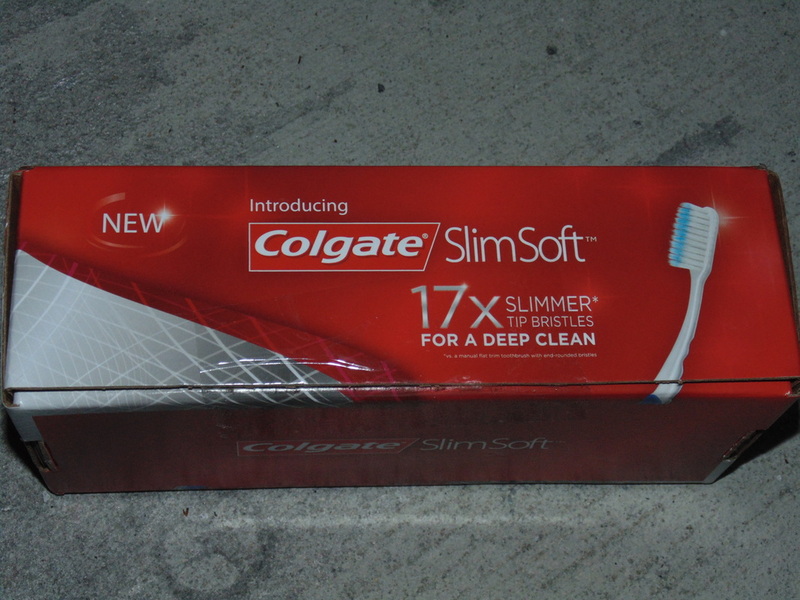 The box also came with a travel size "total" effects toothpaste and mouth wash.
At first I was kind of thrown off by the size of the brush because it did feel very different then using a "regular" size toothbrush, however over the days I did adjust to the size. Now I could feel a bit of difference when it come to the cleaning of the teeth because with the brush being smaller I could feel different areas being targeted. After I finished, my teeth did feel very clean (cleaner then they normally do I guess) and I felt after eating I didn't really have to brush again if I didn't want to because my teeth still felt exceptionally clean. In short...this is a very good toothbrush (different due to size) and I could see myself repurchasing this. I have definitely seen and felt a difference in my teeth so that is a total win win for me. As for the toothpaste and mouthwash...I don't stray from my normal Aquafresh and Listerine but I did give the Colgate a try but I'll stick to what I know and like on those. This product definitely dries quick so application has to go just as quick to get the best results. However application was good and the first time I used a sponge (beauty blender) and the other 2 I used a makeup brush. Application with the beauty blender was good and it really gave that "flawless" finish look, the brush was just as good but I didn't quit get the same finish and it was little harder buffing the foundation in (probably b/c it dries so quick). The product itself is very smooth and soft to the touch and there was also no streaking (winning). Total outcome was good however this is definitely a "you must contour" kind of finish. It did leave my face looking flat (maybe a bit pale? dunno) but the next shade darker was way to dark for me (I got mine in the color Tobacco), but once I contoured it was perfect anyway. This is a "true" matte foundation, so if you like matte this is perfect and I'd have to say I've found something I truly adore. There was really no downside to this foundation besides the fact it does dry very quickly, but that really isn't a real problem. Application has the best results with the sponge or beauty blender and the shades are pretty spot on if you ask me. So...considering I did love this so much I definitely had to purchase it (foundation whore...that's me). Great thing about matte finishes currently is...it's in for the fall (SCORE). My current makeup bag was purchased from Ulta for $7.99 and it has the cutest phrase: "Inner Beauty Is For Amateurs". So as you know I have tons of makeup...this is just my daily basics I carry along with me depending on what I'm wearing that for the day. Here's a product I've had for a few months now I just haven't had the luxury of sharing a review. I purchased it while a friend of my was working at the Aveda Salon in our local department store and she of course gets an employee discount (SCORE). Well besides the employee discount every so often they'd give the employees an extra percentage off all merchandise...so this time they were offering their employees I believe 40% off (ummm YES please). Well I took her up on the offer to go in to the store with her and see what it was I wanted and she would purchase it for me (I'd give her the money so she could buy it). That being said I got this for a fraction of the cost (works for me!!!). I was truly excited to FINALLY get to try this product out. First Thoughts: I was a bit skeptical at first...I thought how in the world do I apply this (totally freaked). Well moving passed my initial freak out, once I tried it...I feel in love. It applies very smooth and really does give you a flawless "airbrushed" look with out even getting airbrushed. The smell is kind of neutral...I guess you can say it doesn't really have a smell. Besides that, this does even out your skin tone and does hide any of the imperfection you may have. At this point "concealer" is going to be based on how you feel once this is applied, so you may decided to use it or not. I personally used it because I am just so use to it plus I do have dark circles so I kinda feel naked with out it. Final Thoughts: It really is good and I can say even though I did spend "retail" price on this...it's worth the money. In some cases you truly do get your moneys worth and vise verse, but this is a total "A" plus for me. My only down side to this besides the price of course...is the 2nd time I actually wore this it kinda turned fire orange color but I think this was due to something else because I have never had that problem again. Don't apply this directly to the face unless you plan on having foundation EVERYWHERE. Try applying (spraying) the foundation directly on to your brush and working into the skin. Be quick this dries fast. DISCLAIMER: Be on the look out for my "Face of the Day's because I will always be featuring my reviews. With the cooler weather in the air (yes even Florida...at times), I was thinking about what perfume I'd be wearing this Fall and Winter. This trigger me to actually think about ALL the perfume I currently have to see if any of them would be fitting this year. Well through the thought process I realized I'd perfume I just can't live with out...so basically the ones I go into sheer panic when I run out lol. However I noticed a trend with all my "favorites"...I can basically wear them year around if I chose to (works for me!!!) all but maybe one. I tend to go toward very clean fresh scents, I don't want anything to over powering and definitely nothing to sweet (I need balance). Well I wanted to share my top 5 as well as what I'd like to smell like this fall...Enjoy!!! Kim Kardashian by well...DUH!!! This has to be the cleanest smelling perfume ever, reminds me of a freshly taken shower. Princess by Vera Wang: This is just a great scent I mean it has stuff in it like "forbidden woods", "pink frosting", "chiffon vanilla", and much more but it truly just makes me feel wonderful. Flora by Gucci: This is my "I got to go to a meeting" perfume lol...it just smells expensive. Infusion Diris by Prada: I can't tell you how many times I've gone to purchase this perfume but I never end up getting it...I think it's because if you smell this in the bottle you'll probably be like "ummm no" but once you put this one...it's completely different. Every time I've gone to buy this I never sprayed it on me so I've talked myself out it but I think its times to just get it. Love in White by Creed: Okay if you have had prior post then you know I LOVE THIS and I am saving for this one because it is VERY pricey for perfume however I HAVE to have it.